Earlier this week, Monday actually, I received a wonderful package from a sweet Crochetville Elf. It contained yarn leftovers for my freeform crochet (big plan in the works! 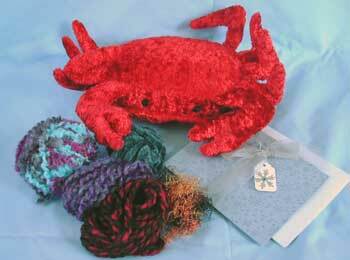 ), the cutest stuffed crab I have ever seen, and a lovely card. Thank you so much, elfie! 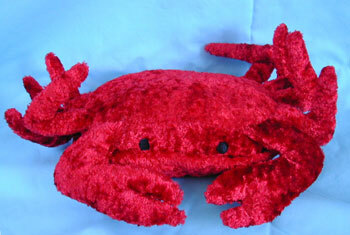 I haven’t seen many stuffed crabs (other than at restaurants :o) but I have to see this is the cutest one I’ve seen!